This liquid soap is naturally glycerined and free of coloring agents, animal fats and synthetic surfactants. Presented in a sleek glass pump dispenser, it will look great in your kitchen or bathroom. 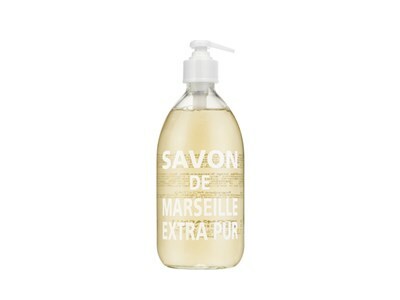 Indulge in Fragrance Free Liquid Marseille Soap to gently cleanse your hands leaving them refreshingly soft and smooth.